Come and Ride Scot Free with the IAM! Come and Drive Scot Free with the IAM! 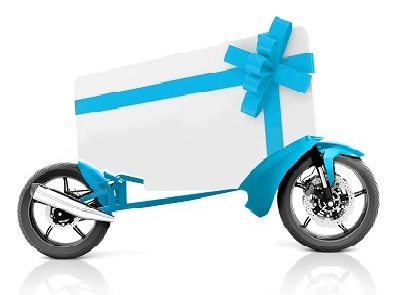 Our Advanced Driver and Rider Course gift vouchers are STILL available online with 10% off. 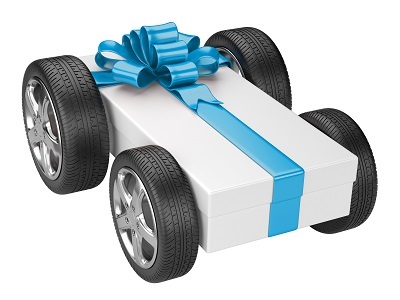 The Advanced Driver and Rider gift vouchers make an attractive and thoughtful presents and are STILL available online. We also currently have the Advanced Driver and Rider program (normal price £149) NOW £134 on promotion using the code GV10 and if you live within the Glasgow North Group catchment area (or willing to travel to us) then a £50 CASHBACK* incentive could be yours following a successful test pass within 6 months of you starting with us which means you could be paying as little as £84 for your Advanced Driver or Rider Course. *T&Cs apply, please contact us for further information. The Glasgow North Group of Advanced Motorists is a road safety charitable organisation registered with The Scottish Charity Regulator (OSCR) SC018356 and is affiliated with the Institute of Advanced Motorists (IAM). The group was formed in 1978, is one of the oldest and largest in Scotland having in excess of 300 members, is manned by volunteers who enthusiastically work to improve road safety by encouraging drivers and riders to improve their skills through coaching and critique. The IAM was founded in 1956, has over 100,000 members and is the UK’s leading independent road safety charity. Working through a national network of groups like Glasgow North Group of Advanced Motorists the IAM is uniquely positioned to help improve the skills and understanding of UK road users whether they be drivers, riders or cyclists. Advanced driving uses good handling skills to control the position and speed of a vehicle safely, systematically and smoothly whilst using road and traffic conditions to make reasonable progress in a responsible manner and unobtrusively. This skill requires a positive but courteous attitude towards other road users and a higher standard of concentration such as effective all round observation, anticipation and planning. At Glasgow North Group we recognise that our members all have differing skills and that no matter how experienced a road user that we all have something to learn. We endeavour to make our members safer drivers and riders in a fun and enjoyable way. We were one of the first IAM groups to add motorcycles and our membership is fairly evenly split between car and bike members with many having attained Advanced Standards in both riding and driving, added to this we even have a few HGV and PSV Advanced Drivers. The group are manned by volunteers who give their time freely to assist and coach those wishing to become Advanced Drivers and Advanced Riders. We operate two car courses each year; one in March and the other in September and the bike group meet throughout the season on Wednesday evenings and Saturday mornings. The group has a social element. Entertaining and informative guest speakers attend once a month on a Thursday Evening and the bike group have a monthly run on the second Saturday of the month to ensure qualified members can keep in touch and maintain their advanced rider skills. Members also have facilities within this web site to share views, add comments and keep in touch with other members. The cost is low. To begin with why not try our DriveScotFree or RideScotFree assessed initiative to see the benefit of advanced motoring for yourself, simply register using the external links from the left menu on this page. You will then be contacted to arrange a time and place to meet and give further details of what to expect when you arrive. To start an advanced course you must first purchase an Advanced Driver or Advanced Rider Pack, this currently costs £149 and includes: first year’s group associate membership to Glasgow North, Course logbook (directly from IAM RoadSmart), IAM RoadSmart test fee and one year’s associate membership of IAM RoadSmart. Enter the validation code shown shown above.